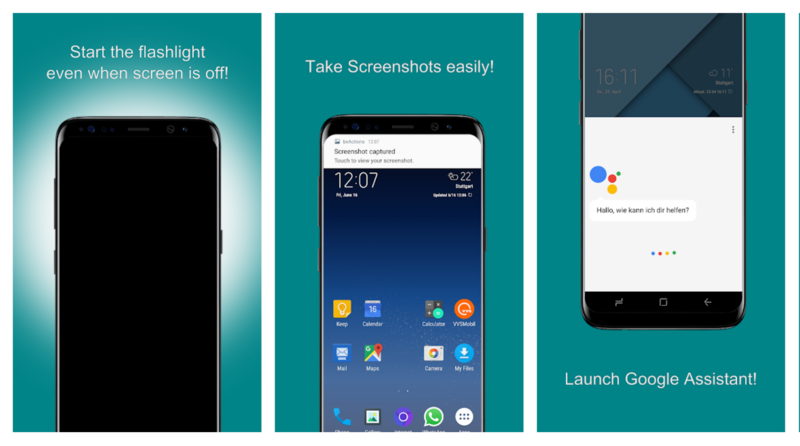 bxActions Pro apk is an app for the latest Samsung phones which have bixby button. What it does is, it can remap the bixby button to do any other actions rather than opening bixby voice. So the problem for users who couldn’t find any use of bixby button has been solved. You can set the bixby button to take screen shot, silent your phone, turn on flashlight etc. The good thing is bxActions apk app does not require any root access. It can be installed easily. All you have to do is install the apk file of this app. The link is provided below. And then after that you can manually install it on your phone. You can even remap the buttons with bxActions pro apk. You can download the pro version of bxactions app for free from here. The download link is below. After installing the apk file, follow the installation instructions. The bxactions app is compatible with following devices. Other newer samsung phones which have dedicated bixby button are also compatible with this app. What Actions We can Set to Bixby Button with bxActions? Here is a list of tasks we can remap the bixby button with. Single Press, double press and long press functionality. On your phone go to Settings>>LockScreen and Security. Scroll down and tap on Install from Unkown Sources. Now there will be a list of apps here. Find the browser that you use for everything. Tap on it and enable the Allow from this Source option. When it is downloaded completely. Tap on it. Launch the bxActions pro and remap your bixby button to do whatever you want. At initial start, follow the onscreen instructions to get it working. Downlaod the bxactions pro apk from below button. If you want to download the bxActions (not pro version) directly on your phone then get it from Google Play.